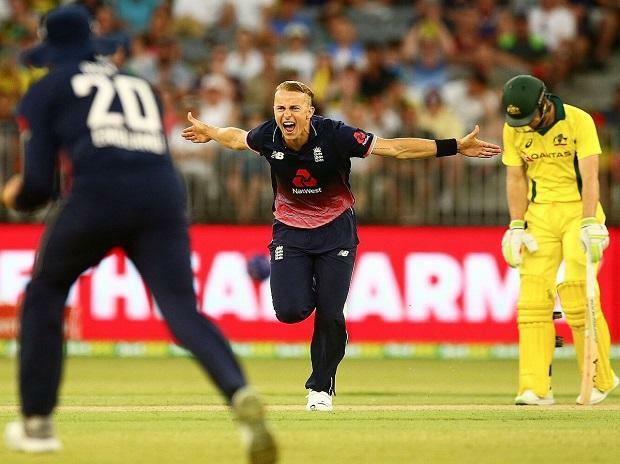 Following his success in this season's Big Bash League (BBL), fast bowler Tom Curran hopes to secure a place in England's World Cup squad. Having the fast-bowling likes of Liam Plunkett, Mark Wood, Chris Woakes and David Willey all in contention for a spot in the 15-man squad, Curran is aware of the need to impress and to prove that he picked up 20 wickets from 14 matches at 19.85 for Sydney Sixers in the BBL. The 23-year-old, who is in the ODI squad for the upcoming five-match series against West Indies, starting February 20, believes that his BBL experience will help him cement a place in the England World Cup squad. "It (BBL) helps to play in those big franchise tournaments. It is the biggest stage apart from international cricket, so to go there and do well gives me confidence. Hopefully, from that I can put in some good performances here, and get in that World Cup squad," ICC quoted Curran, as saying. "You want to perform at the hardest moments; the crunch moments in the game. The yorker is the hardest ball to hit and one of the hardest to bowl. I have been trying to work on that constantly, keep nailing it and always trying to improve. It is going pretty well," he said. The much-awaited World Cup 2019 is slated to take place from May 30 to July 14 in England and Wales.